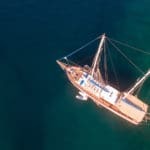 ﻿What is the Best Time of Year for a Gulet Charter in Turkey? The season for gulet charter in Turkey operate between the months of May, right up until the end of October. However some gulets begin the season around mid April and run until the middle of November, depending on the scheduled bookings received. The reason for the April to October period is usually due to time needed for gulets to repair, maintain and / or refit. This is so that they are all prepared and in good condition to offer these beautiful gulet charter in Turkey vacations to travelers. 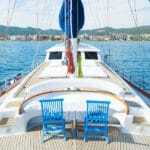 To choose a time of year that is best for a gulet charter Turkey vacation is really up to your holiday plans. The pros and cons are really based on your preferences. It all depends on what your criteria is for how and in which style you wish to spend your time at sea. While some travelers prefer the super hot months and also the only time they can get the whole family together for a gulet cruise. Other travelers are looking for lesser boat traffic at sea, more peace and quiet and not so geared for too many water activities and more interested in seeing the sights and visiting interesting destinations. The months to choose for less boat traffic – but boat traffic can also be changed with the itinerary you choose – is May, September and October. The waters are still warm enough for swimming and other water sports. 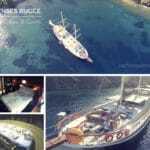 The cost of gulet charters are more favorable and the choices in gulets are better, leaving you with better discounts. Choosing to embark on a blue cruise holiday in June, July, and August means higher number of holidaymakers doing the same thing in all the popular holiday destinations. 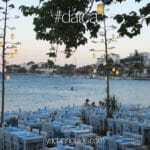 However the Mediterranean and the Aegean seas are large enough that it really does not get all the overcrowded at sea – but more so in the towns, villages, and cities you visit. The choice is all up to you. The best time of year is the time of year that is most suitable to your holiday requirements.